Originating from the Middle East – Hummus has long been used as a dip for flatbread, pitta, and vagatables like carrot sticks or celery. The primary ingredients, chickpeas, are high protein – which is especially useful for those following a vegan or vegetarian diet and is cleaner than most animal proteins. Chickpeas also help to maintain steady blood sugar levels and contain no saturated fat or cholesterol. 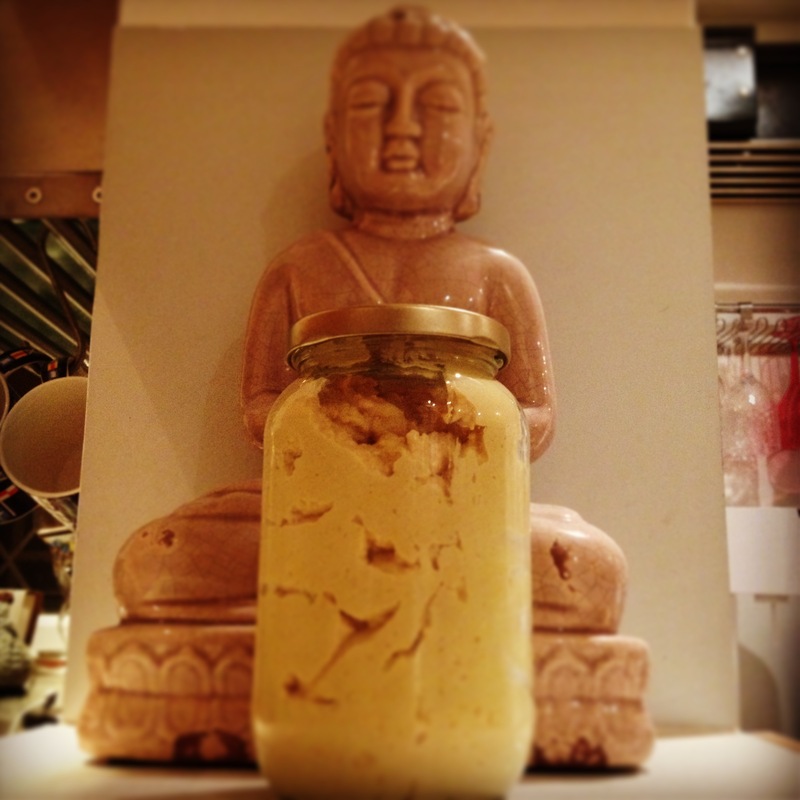 Tahini is high in calcium, while garlic and lemon juice are good sources of antioxidants. The small amount of Olive oil provides healthy fats, and if you add a little pink Himalayan Mountain salt you’ll be adding in a ton of nutrients, including high amounts of iron – which around 34% of Westerners are deficient in. The even better news is that if you make your own healthy hummus, you’ll be able to avoid all the additives, preservatives and general nastiness which supermarket brands generally include. Blend it all together – *you might have to stop a couple of times to scrape the sides of the blender then carry on mixing. You can also add sundried tomatoes, pitted black olives, red pepper, lemon zest, or grated raw beetroot. ← Strength From The Inside – Out….